Granada has the chance to be surrounded by the most beautiful Natural Park of Andalucia: the Sierra Nevada. From the hostel itself, just look around, and you will see the beautiful mountains leaning on us, that turns from crispy green during spring, to immaculate white when the snow covers those peaks. Located only 30 minutes away by bus, you will discover the gem that is Monachil, from where starts an amazing hike: Los Cahorros. Just 8 km from Granada, this beautiful village remains still relatively untouched by mass tourism. Protected and peaceful, it is not for nothing its name itself – ”Monachil” – comes from an Arabic word that means “monastery”. With its rivers, wildflowers, forests, pomegranates, cherries and apples trees, mint, thyme and lavender bushes, you will realize how rich Andalucia is. Los Cahorros is accessible to everybody and do not require you to be an athlete! Would you have had an amazing party time yesterday in our Pub Crawl of the Damned, you can also join us! We assure you: fresh air and magic scenery are the best! Our hike is running 3 times a week, on Monday, Thursday and Saturday, from 11.00 to 18.30: an entire day out! 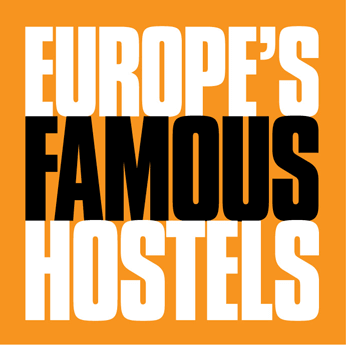 Our guide will meet you in the lounge of our hostel at 11.00; don’t hesitate to bring your friends (or new friends!) to share this experience with! After a quick introduction, you will all leave the hostel at 11.30 with him, and walk 10 min through the streets of Granada. On this short walk, you will pass by the Albaícin and the district of Realejo: don’t hesitate to ask questions (we love that!) or to join our Street and the Caves Free Tour (Wednesday, Friday, Sunday / 3PM to 6PM) to learn more about the city! Once you passed over the river, you will take together the bus 183 for a 30 minutes ride through the fields and forests leading to the Sierra Nevada. When you arrive in Monachil, take 5 minutes to grasp the beauty of the landscape while our guide takes care of your picnic with local cheese, tasty ham, tomatoes, fresh baked bread, fruits, and a 2 litres bottle of water. No need to worries about anything: today, we are taking care of you! The walk starts in the village itself: alongside the Monachil river and up to the forests and the gorge. 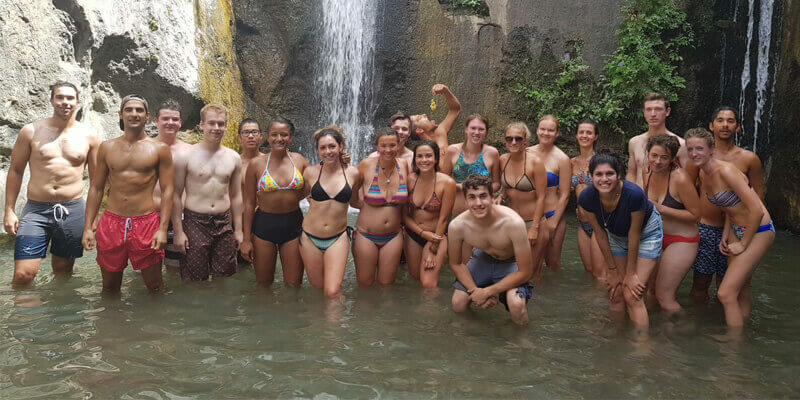 Awaiting halfway, is a peaceful creek with a beautiful waterfall: It will be your first stop! will you dare to go for a swim? 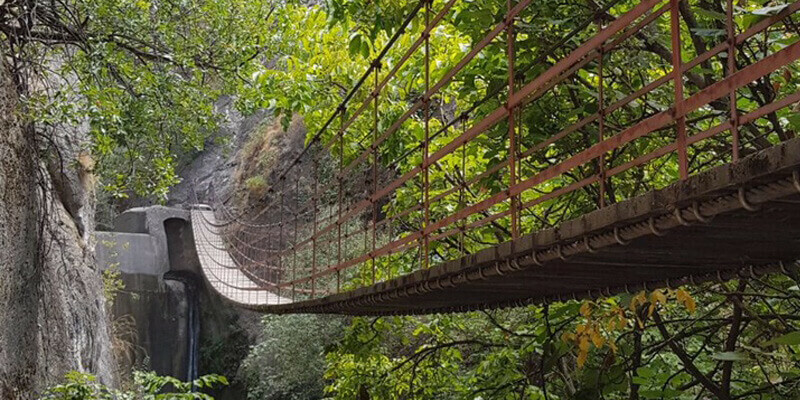 Back on track, now starts the Indiana Jones’ style adventure: you will cross one of the several impressive hanging bridges that will accompany you through the hike. The longest of them is 55 metres long and 15 metres high (!). Very surprising at first glance, do not worry: they are very safe and regularly tested. 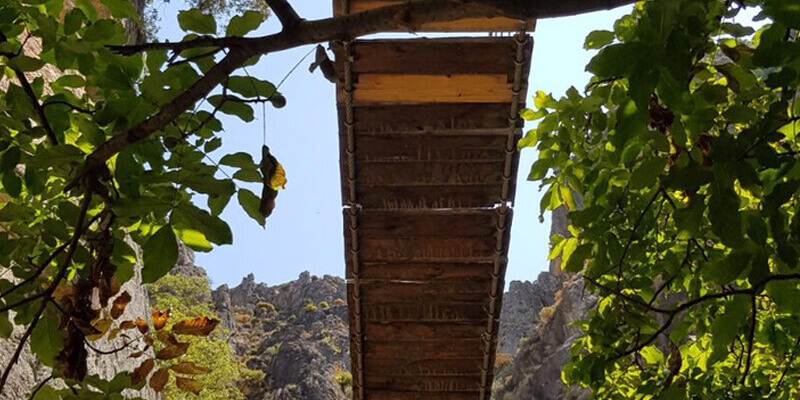 You will go through natural caves and tunnels, follow the path inside of the gorges, until you find a sweet spot alongside the river for a picnic. Here is your next stop: time to get a well deserved reward after all those efforts with tasty local products; and maybe go for an after lunch dip in the water! Look around, you will maybe find some mint leaves growing wild: pick them up and put them in your bottle of water! 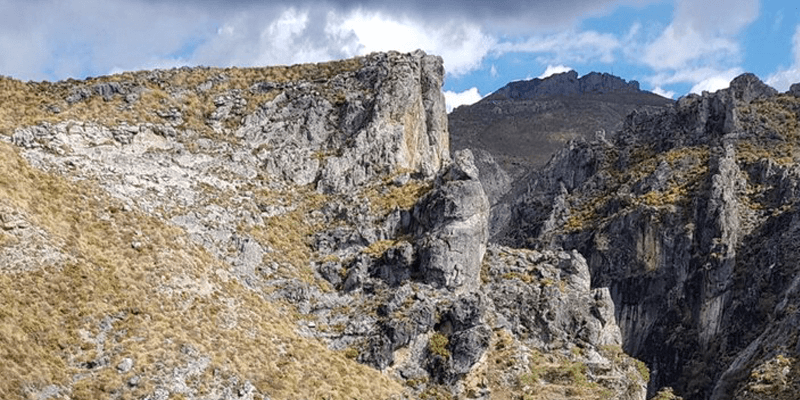 The last part of the hike will lead you higher, and higher up to the mountains, to some spectacular Andalucian countrysides and viewpoints. Pay attention during your walk and you will maybe get the chance to spot a wild goat running at full speed on the steep walls of the mountains: It is a really impressive show! Take the time to appreciate the quietness of the surrounding, and the beauty of those wild and untouched landscapes. Going down back to the village, you will come across some wild fruit trees: figs, apples, pomegranate. Pick one on the way, but not too much! Time to take the bus back to Granada but while waiting for it, what about a free drink with free tapas to the local bar: Let’s get the energy going! Once back in Granada, one thing left to do… Guess what? You are back right on time for the Happy Hour in our Granada bar. Treat yourself joining our World Fusion Tapas: Homemade Sangria, Mojito, local beer, and home-made freshly baked tapas, are waiting to be shared among you and your new friends!